Fabulous and Brunette: Elektra Chaos by Deanna Roy - Blurb Blitz - Giveaway - Enter Daily! 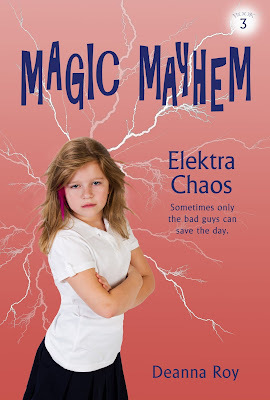 Elektra Chaos by Deanna Roy - Blurb Blitz - Giveaway - Enter Daily! Hi lovelies! It gives me great pleasure today to host Deanna Roy and her new book, “Elektra Chaos”! For other stops on her Goddess Fish Promotions Book Tour, please click on the banner above or any of the images in this post. Be sure to make it to the end of this post to enter to win a $20 Amazon or Barnes and Noble Gift Card! Also, come back daily to interact with Deanna and to increase your chances of winning! Elektra exhaled slowly, trying to control her rage. Her pink feather was shifting, tickling her cheek. She pushed it back, but it stubbornly moved forward again. The metal coil that attached it to her hair was getting attracted to something, but what? She looked around, and she saw him. Marcus. He was above her, looking over a rail. He was in fifth grade, but looked much younger due to his size. His hair was pale and stood straight up, like he was shocked. He’d changed out of his Trinity uniform and wore normal shorts and a blue T-shirt. They’d spent hours together in the desert, stuck on a trailer with a giant magnetized rock. And helped each other. Actually joined forces, like the Avengers, or she guessed, more like Batman teaming up with the Joker. He watched her and the pink feather aimed for him as if he was the center of gravity. She tucked the bit of fluff behind her ear and turned away. They couldn’t help each other now. The lines were drawn. She was on one side, and he was way on the other. 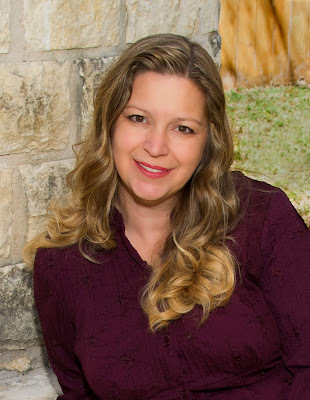 Deanna will be awarding a $20 Amazon or Barnes and Noble Gift Card to a randomly drawn winner via Rafflecopter during the tour. Oh this looks so good, she would love to read it! I love that she wrote it for her daughter!